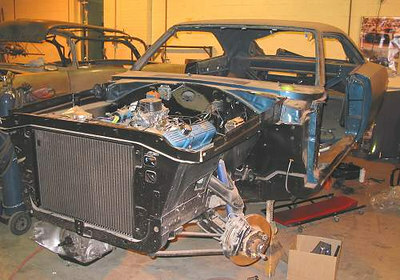 Barry's '69 Charger has been a ongoing project for a couple of years. We did alot of work on this project before it left for paint. When this project arrived it needed a few things fixed up. It started with new frame rails, a new front suspension, rear suspension. New sheetmetal including floors, quarters, rear valance, etc. The Charger is now painted and back for some final assembly!